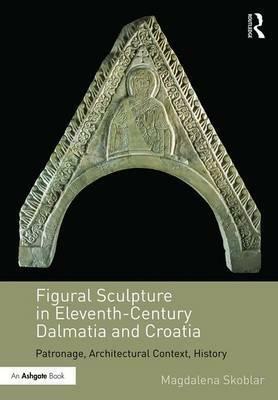 This is the first full-length, English-language study of eleventh-century figural sculpture produced in Dalmatia and Croatia. Challenging the dependency on stylistic analysis in previous scholarship, Magdalena Skoblar contextualises the visual presence of these relief carvings in their local communities, focusing on five critical sites. Alongside an examination of architectural setting and iconography, this book also investigates archaeological and textual evidence to establish the historical situation within which these sculptures were produced and received. Croatia and Dalmatia in the eleventh century were a borderland between Byzantium and the Latin west where the balance of power was constantly changing. These sculptures speak of the fragmented and hybrid nature of the Adriatic and the Mediterranean as a whole, where well-connected trade routes and porous boundaries informed artistic production. Moreover, in contrast to elsewhere in Europe where contemporary figural sculpture was spurred on by monastic communities, this book argues that the patronage of such artworks in Dalmatia and Croatia was driven by members of the local secular elites. For the first time, these sculptures are being introduced to Anglophone scholarship, and this book contributes to a fuller understanding of the profound changes in medieval attitudes towards sculpture after the year 1000.